Indicated in vitamin B12 deficiencies manifested by megaloblastic anaemia and neurological conditions. Pernicious anaemia and its neurological complication, subacute combined degeneration of the spinal cord. Macrocytic anaemias associated with nutritional deficiencies. Intestinal malabsorption, megaloblastosis, diet-related deficiency, post-gastrectomy. Indications for prophylaxis include strict vegetarianism, post-gastrectomy, and ileal resection and conditions of the small intestine that would predictably cause deficiency. 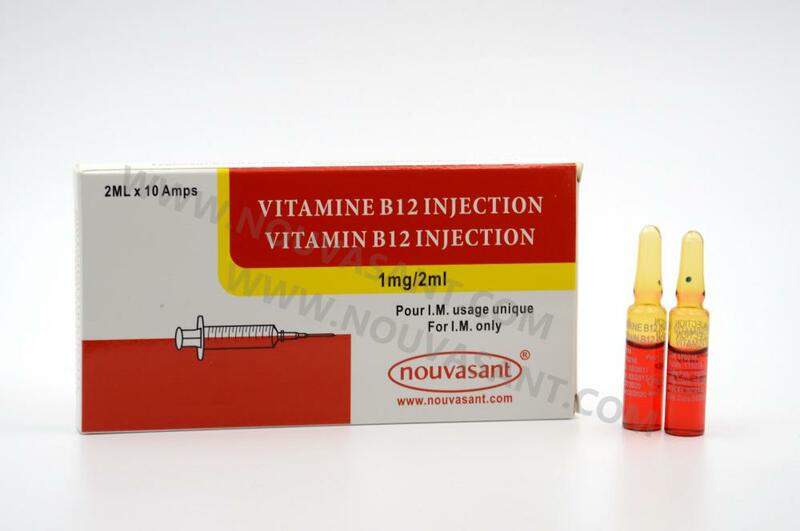 Looking for ideal VITAMIN B12 INJECTION 1MG/2ML Manufacturer & supplier ? We have a wide selection at great prices to help you get creative. All the VITAMIN B12 are quality guaranteed. We are China Origin Factory of INJECTION. If you have any question, please feel free to contact us.